There will be no mistaking the AMG® GLE 63 S Coupe for anything else on the road, yet its performance coupe soul is evident in its body. The AMG® double crosswing radiates in satin silver from the chrome central Star in its grille. And from the tensed arch of its roofline to its horizontal taillamps, it brings the Mercedes-Benz coupe to a new realm. Its AMG® DNA is equally present in its standard 22-inch wheels, active LED headlamps, twin power-dome hood and AMG® lower bodywork. Hand-fitted upholstery, precise topstitching, hand-finished trim and subtle metallic details define a cockpit that's pure in its driving focus. AMG®-exclusive instruments are placed at the same height as the large color central screen. Controls are intuitive in placement and feel. 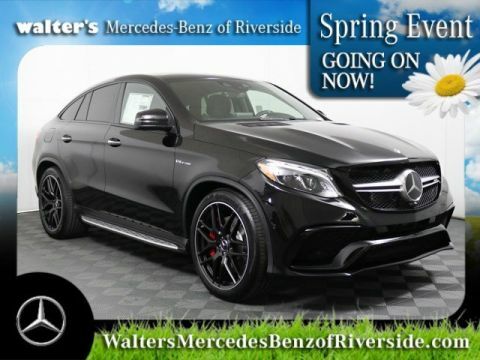 And from the heated sport front seats to the widest 3-passenger rear seat in its class, the AMG® GLE 63 S Coupe is plentiful in room and refinement. The bodywork of the AMG® GLE 63 S reflects its racing roots. The front air dam features massive air intakes in an A-wing design with Gloss Black and chrome shadow trim. The signature double-crosswing grille sweeps into the LED headlamps. Black trim underscores the front apron, outlines the flared wheel arches and sculpts the side sills. Completing the profile are a color-keyed functional rear lid spoiler and a black finned lower diffuser framing the four chrome AMG® tailpipes. A handcrafted AMG® 5.5L V 8 biturbo engine generates staggering output: 577 hp and 561 lb-ft of torque. 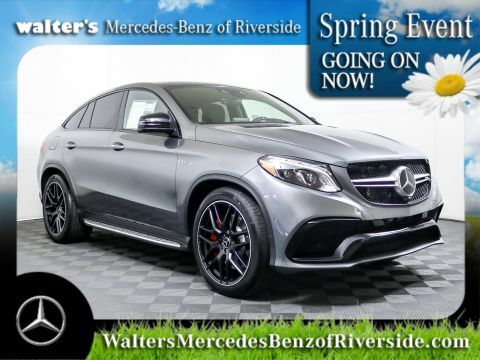 Along with its millisecond-quick Direct Injection and multispark ignition technologies, increased fuel injection pressure and turbo boost are among the AMG® enhancements that deliver 60 mph in a breathtaking 4.1 seconds. 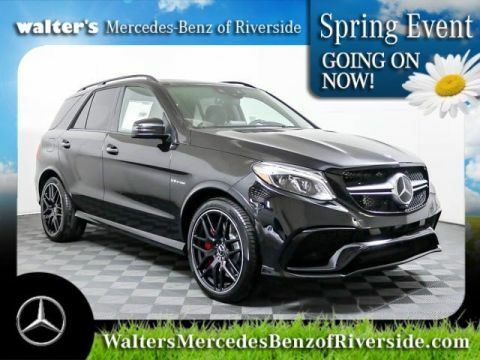 The 7-speed AMG® SPEEDSHIFT®(R) PLUS transmission offers exclusive calibration. The electronic selector and shift paddles let you control all gear changes with your hands on the steering wheel. The AMG® DYNAMIC SELECT control offers five driving programs for the transmission and other dynamic systems. A Manual mode offers direct sequential gear selection via the shift paddles, with rev-matched downshifts that bring about a brief surge of throttle and a snarl of the exhaust. Radar-based technology can alert you if you're approaching a vehicle ahead, or even some stationary objects, at a speed and distance that suggest a collision is likely. As soon as the driver starts to brake, Active Brake Assist can automatically provide an appropriate level of braking to help prevent a collision or reduce its severity. If you fail to respond, the system can also initiate braking automatically at many driving speeds. An advanced system of 9 air bags offers 11-way occupant protection. Dual two-stage front air bags, front side-impact air bags, front pelvic air bags, a driver's knee air bag and side curtain air bags for both seating rows are standard. The first system of its kind, ATTENTION ASSIST®(R) continuously monitors up to 70 parameters of driving behavior and can automatically alert the driver with both visual and audible warnings if it detects signs of drowsiness on long trips. With enhanced sensitivity, the system can also help detect drivers who begin their trip drowsy and offer more useful information to drivers along their journey via the dashboard display. 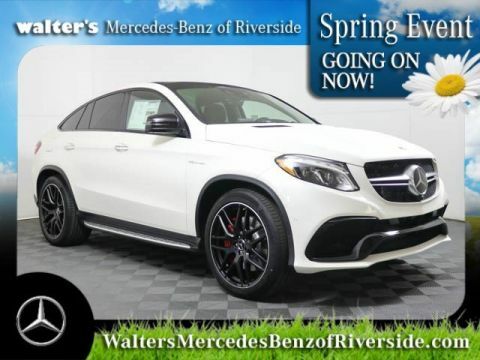 Meet your new 2019 Mercedes-Benz AMG® GLE 63 S 4MATIC® Coupe in person today at Walter's Mercedes-Benz of Riverside located at 3213 Adams St. Riverside, CA 92504.